Venessa Hamilton is a senior associate at Dovetail Consulting Group. Venessa has over 10 years of experience working in the biotech and pharmaceutical industry developing company-wide processes, designing reporting systems, and overseeing global dispute-resolution processes. She brings to Dovetail her expertise in process and systems development. 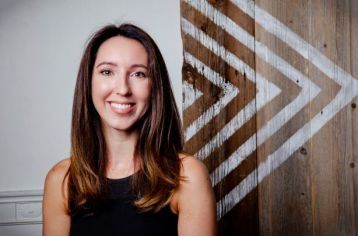 Before joining Dovetail, Venessa was a manager of compliance and ethics operations at Vertex Pharmaceuticals, where she focused on the build and execution of the Ex-US Global Spend Transparency (GST) program. Venessa has exposure and experience with US and state level reporting. She also worked on employee engagement, program effectiveness, and process improvement. Venessa managed the Fair Market Value system and process, developing requirements and designing internal tracking mechanisms, monitoring and auditing employee engagements with HCPs, HCOs, patient organizations, and government officials. In addition, she designed and implemented company-wide compliance surveys, interactive trainings and awareness campaigns. In her earlier years at Vertex, she worked in the Global Medicines Development & Affairs (GMDA) group coordinating site startup and data collection for tier-1 clinical trials. She worked on process and tracking improvements. Prior to working at Vertex, Venessa worked at Shire and Idera. Venessa graduated from Northeastern University with a B.S. in organizational communications.